We’ve demonstrated our ongoing commitment to the Blues, announcing a three-year partnership extension with the Super Rugby Club at their annual awards event. The renewal will see us retain our Principal Sponsor status with the club, with the nib logo to remain in the prominent front-of-jersey position until at least the end of the 2021 season. Our Chief Executive Officer, Rob Hennin said the extended partnership was a strong showing of support for the Blues players and they were proud to be continuing their positive association with the club. “We’ve been able to build great brand awareness and affinity with Blues and Super Rugby fans alike thanks to our sponsorship of the club which has been a contributor to our ongoing growth in the local private health insurance market,” Mr Hennin said. 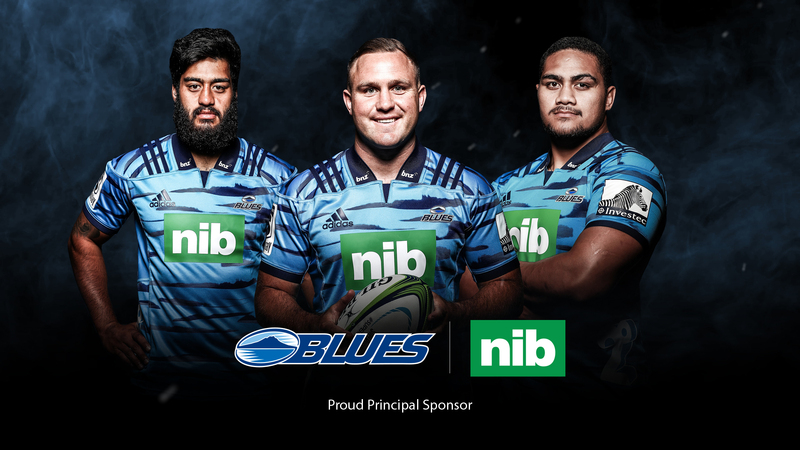 “The Blues partnership is a key component of our overall marketing strategy that helps us to engage with Blues supporters, Kiwis across the country as well as our own customers and employees,” he added. Recognising the Club’s efforts to rebuild, Mr Hennin said he is confident there is success on the horizon for the team. “The work the club has done in terms of their operations, updated facilities and the stability achieved through the playing group, such as the re-signing of coach, Tana Umaga, gives us confidence in the performance to come in future seasons,” Mr Hennin said. The Blues Chief Executive Officer, Michael Redman, said the club was delighted to have nib’s ongoing support and to continue their long-term relationship. “nib have been a valued partner since joining us in 2014 and in this time have continued to leverage the relationship with us in providing value to our members via key content, match day activations and community events,” Mr Redman said. “We are fortunate to have an established brand like nib as a Principal Sponsor of our Club and are excited to have them onboard as we look to improve our success on field,” he added. The partnership extension comes as the Blues recognise achievements, acknowledge milestones and honour departing staff and players at their annual awards night at the Pullman Auckland Hotel.